Analysis: After moving on from longtime signal-caller Joe Flacco, Baltimore will keep Griffin around as a veteran sounding board for Lamar Jackson, who officially took the reigns of the offense in Week 11 last season and didn't let go. Griffin himself acted as the active backup for Jackson during the second half of the schedule and made three brief appearances. With the development of Jackson in mind, Griffin will receive spot duty and little else in 2019. 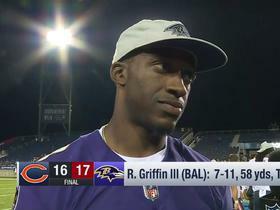 Analysis: Griffin resumed duties as the Ravens' No. 3 quarterback in Week 15 with the return of Joe Flacco (hip) and that situation remains the same Saturday. 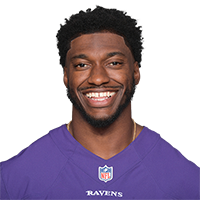 The 28-year-old has a good chance of remaining on the inactive list as long as Flacco and Lamar Jackson stay healthy. Analysis: With Joe Flacco (hip) back in uniform as Lamar Jackson's backup in Week 15, Griffin bumps back down to the inactive status he frequently was saddled with before Flacco's recent four-game absence. 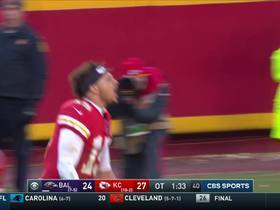 Analysis: Griffin returns to the No. 3 role on Baltimore's depth chart, with Joe Flacco (hip) back to full health and slotting in as the No. 2 option behind rookie Lamar Jackson. The veteran played 21 offensive snaps across three games as Jackson's backup, completing two of six pass attempts for 21 yards. Griffin no longer holds fantasy appeal as a handcuff and is not worth roster consideration in most formats. Griffin is on track to fill the No. 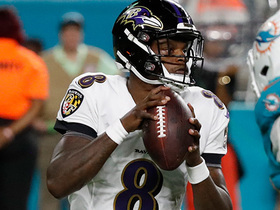 2 quarterback role for the Ravens on Sunday against the Bengals with Lamar Jackson expected to start for the injured Joe Flacco (hip), Jamison Hensley of ESPN.com reports. Griffin and rookie Lamar Jackson are expected to share snaps at quarterback Sunday against the Bengals with Joe Flacco (hip) unlikely to be available, Jeremy Bergman of NFL.com reports. 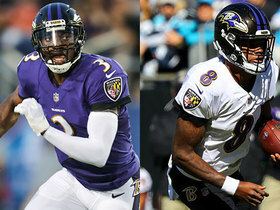 Griffin practiced with the Ravens' starters at Thursday's practice, Jamison Hensley of ESPN.com reports. 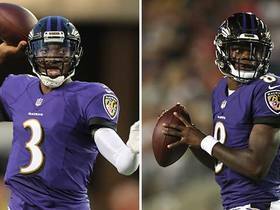 Griffin and Lamar Jackson will both be candidates to start if Joe Flacco (hip) isn't available for Sunday's game against the Bengals, Tom Pelissero of NFL.com reports. Analysis: It's never quite been clear whether Griffin or Jackson is the No. 2 quarterback, as the decision to keep the rookie active for games is dictated by his role as a rushing threat in certain packages. Jackson would obviously be the far more interesting choice, but it isn't out of the question that the Ravens could go with Griffin if they believe he's clearly superior as a passer. Flacco appears truly questionable for Week 11. 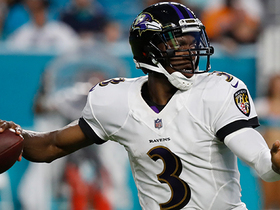 NFL Network's Randy Moss discusses how Baltimore Ravens quarterback Robert Griffin III is taking rookie quarterback Lamar Jackson under his wing. 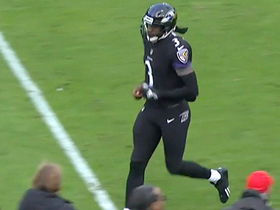 The Baltimore Ravens Robert Griffin III runs wheel route on his first snap since 2016. 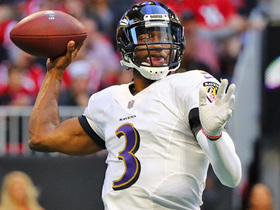 NFL Network Insider Ian Rapoport reports the latest on what the Baltimore Ravens could do at quarterback vs. the Cincinnati Bengals Sunday if QB Joe Flacco is unavailable. NFL Network Insider Ian Rapoport breaks down the Baltimore Ravens' quarterback situation and explains how Lamar Jackson will be used and who would replace Joe Flacco if Flacco had to miss a game. 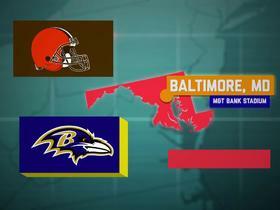 NFL Network's Tom Pelissero tells us how the Baltimore Ravens decided to keep three quarterbacks on the roster. NFL Network's Tom Pelissero talks about Baltimore Ravens quarterback Robert Griffin III making the Ravens 53-man roster. The "Good Morning Football" crew debates if there is room on the Ravens' roster for both QB Robert Griffin III and rookie QB Lamar Jackson. 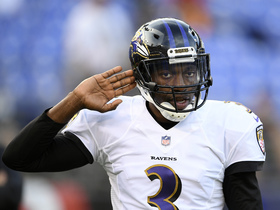 Baltimore Ravens Quarterback Robert Griffin III discusses how he has been mentoring fellow quarterback Lamar Jackson.